biggest competition for quality Irish produce on the island of Ireland. Over 2500 products were entered into the 2018 competition to win Gold, Silver and Bronze Awards in over 100 food and drink categories as well as key awards such as Supreme Champion and Best Artisan Producer. 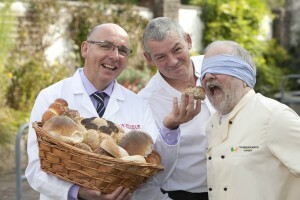 The Blas awards are the biggest blind tasting of produce in the country, and the criteria on which the product is judged as well as the judging system itself, which was developed by Blas na hEireann with the Food Science Dept of UCC, is now recognised as an international industry standard. Research has shown that the Blas accreditation has the highest recognition amongst Irish consumers and using the award logo on packs encourages shoppers to buy these products. It is their guarantee of a top quality Irish product. Blas na hEireann was founded so that quality benchmarks could be established for Irish produce on a level playing field. Winning at Blas has made a significant business difference to our winners. Read their testimonials, they are our best ambassadors.